When you are installing chimney liner sometimes you need to create bends. This is best done with adjustable, sectioned elbows. This elbow is 45 degrees for an eight inch pipe. The elbow is made from aluminum 316 Ti Alloy. It is a versatile product and is available in several sizes including 5.5 inches, 6 inches, and 8 inches. 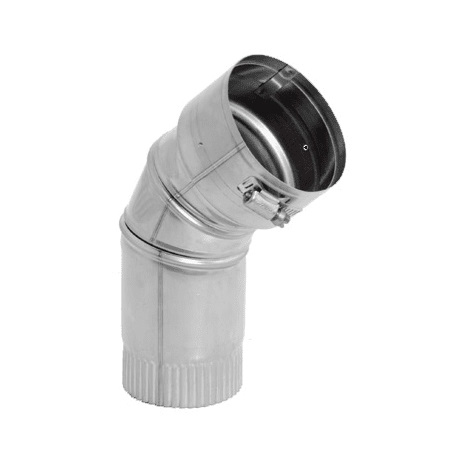 the sectioned elbow is made by Ventinox which is compatible with other Ventinox venting and chimney products.